I love lip gloss, but I actually don't wear it that much. I'm more of a Carmex/Blistex girl. In the cold Midwestern winter chapstick is a must. I only find myself thinking of lip gloss in the warmer months. However, I can't remember buying it recently. I usually recieve it as a gift, "get a free lip gloss with purchase," or something like that. I guess this means lip gloss is weird sort of a save for me since I don't buy it. However, all of my lip glosses are rather nice. I don't have any cheap ones. Mine are all Dior or Victoria's Secret or some other slightly pricey brand. I don't think I've had a drugstore lip gloss in several years. I used to live by Bon Bon, Rimmel and Covergirl, but I like my Dior so much better. It's not sticky. It wears better. It smells good. Should I ever have to buy lip gloss I think I might be tempted splurge on a tube of Dior instead of wading through the drugstore for something similar. I just don't know if I could pay $25 for lip gloss, and I'm sure there are some good drugstore finds out there. What about you? 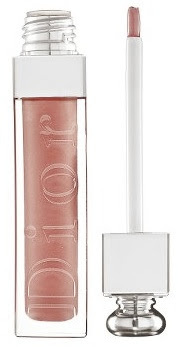 Do you save or splurge on lipgloss? I've been hooked on Bert's Bees chapstick since the granola craze of the 90s...but this Dior lipgloss is intriguing...hmmm. I don't care how good it is; my lip gloss will not cost more than my dress. I love my chapstick brand chapstick, but if I want a little color, I have this minty confection that I got from Bath and Body works when I was working there. It's part of their C&O Bigalow line. They have nice, natural colors, and they're all minty, so you don't have to worry about not liking the flavor. (Also, it makes your breath smell minty if you get any in your mouth.) Best of all, it's only $7.50.